Play Flame Dancer™ online for free now! 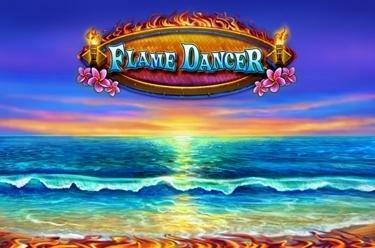 Let the flames dance to Hawaiian rhythms with Flame Dancer™! There is only one motto here: more flames get you more Twists! 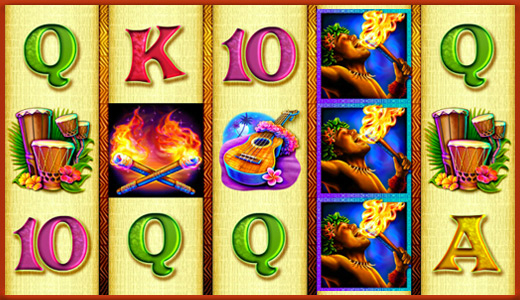 Volcanoes and torches fire up your personal lucky streak on 5 reels and 20 win lines. And if the Fire Breather enters the game, he might spit winnings - by occupying all reel positions and generating new ways to complement your winning combos! Land 5 matching symbols along the win lines and look forward to many fiery Twists! All win lines start on the left on the first reel and form extending winning patterns over the reels. Winning combinations start on the left and run along the win lines without interruption. 3 or more Scatter symbols (Crossed Torches) in any position start 7 Free Games, which will use your recent game settings automatically. The Fire Breather will bring you twice as much luck during the Free Games: As soon as he appears the Volcano, Drum, Guitar and Cocktail symbols turn into extra Fire Breather symbols and increase your chances of winning!